The Milwaukee Brewers‘ quest to repeat as National League Central champions just became a whole lot more difficult. In the second inning of their 5-2 loss to the San Francisco Giants Saturday afternoon, newly acquired 35-year-old free-agent shortstop Alex Gonzalez appeared to have badly injured his right ankle while attempting to steal second after singling in a run off Giants hurler Madison Bumgarner. Gonzalez’s basepath snafu now marks the fourth straight game where a Brewers regular has exited with an injury. In 88 plate appearances this season, Gonzalez has posted a .250/.318/.450 line with four home runs an 14 runs batted in, ranking third only to left-fielder Ryan Braun and right-fielder Corey Hart with 36 total bases. General manager Doug Melvin inked Gonzalez to a one-year, $4.25 millon 2012 contract with a vesting $4 million option hoping he’d help to shore up Milwaukee’s porous infield from a season ago, though he’s been a shell of his former self defensively this season, garnering just a .969 fielding percent and 4.42 range factor thus far. It has been announced that the Brewers have selected the contracts of 30-year-old journeyman shortstop Edwin Maysonet and 25-year-old infielding prospect Taylor Green from AAA Nashville to fill the void left behind from Gonzalez’s injury. More details to come regarding the story in the subsequent hours. Every player on the Milwaukee Brewers’ 2011 roster contributed in some fashion or another to the club’s most thrilling campaign in nearly30years, resulting in an NL Central crown as well as the opportunity to host the National League Championship Series. However, ample changes to their roster from a season ago will largely reshape what Milwaukee’s lineup might look like in 2012. 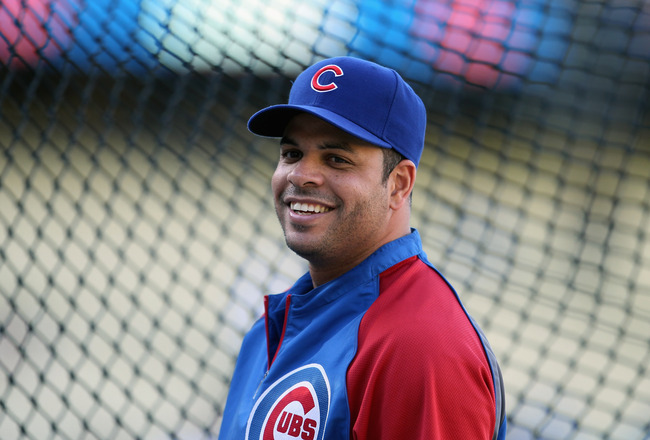 The addition of third baseman Aramis Ramirez and shortstop Alex Gonzalez — as well as the likely subtraction of first baseman Prince Fielder — will bring about a number of new play-makers and top performers next season. 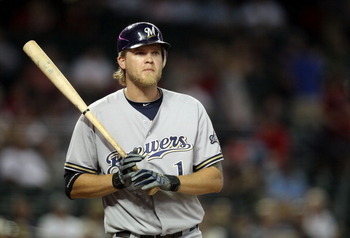 Let’s try our hand at predicting Milwaukee’s top 10 performers in 2012. 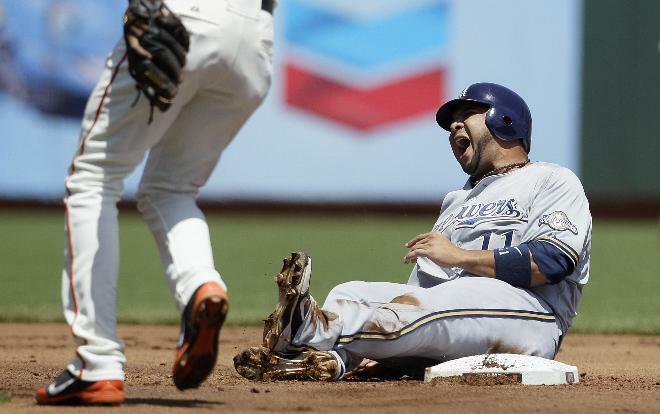 The Brewers were one of the worst defensive teams in baseball last season (they finished with MLB‘s seventh-worst fielding percentage collectively), and GM Doug Melvin made it a point to upgrade defensively this offseason. After declining Yuniesky Betancourt’s 2012 option, the Brewers found their new shortstop in veteran Alex Gonzalez. Needless to say, the move firmly improved Milwaukee’s infield. The 34-year-old boasts a career .972 fielding percentage and 6.3 UZR. 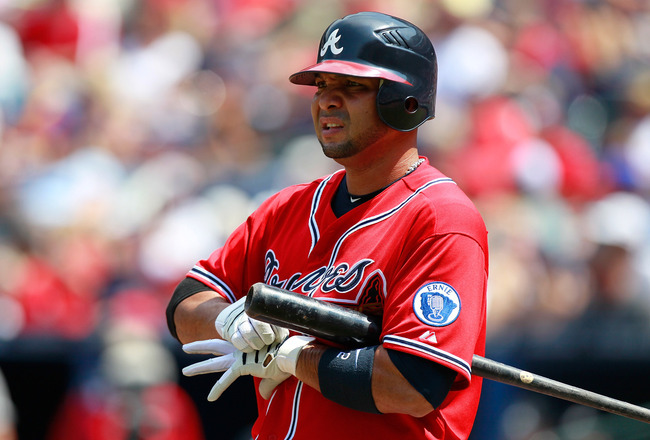 Gonzalez will be expected to hold down the unstable fort that is the left side of Ron Roenicke’s infield with above-average efficiency, and fans should expect him to do just that. They should also expect something close to a .250/.290/.400 line offensively — nothing too overwhelming. Shaun Marcum was absolutely sensational in his first season with the Brewers, however, his best work came away from Miller Park. Last season, the 30-year-old right-hander went 8-3 with league-leading 2.21 ERA on the road proving essential in Milwaukee’s regular season successes. 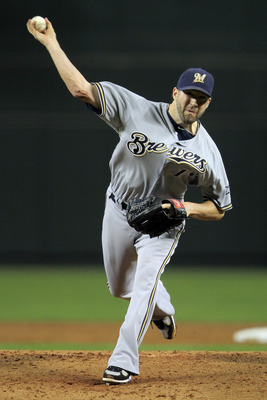 Without Marcum, it’s arguable the Brewers don’t even challenge for the division in 2011. Next season, much will stay the same in that Marcum will be largely responsible for providing stability and dependability to the rotation. Expect his stat line to comparable to last season, as well. When Milwaukee offered arbitration to setup man Francisco Rodriguez after the season, they probably had no intention of actually bringing him back at or near his $13.5 Million salary from last season. 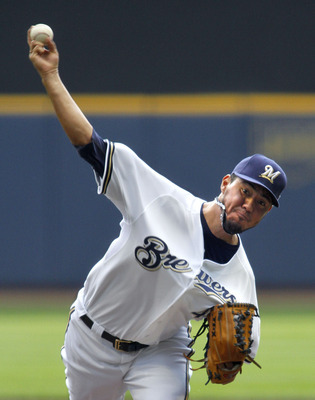 Nevertheless, he accepted, and will assume his role as the Brewers’ eighth-inning man in 2012. Last season, the seasoned vet posted a 1.86 ERA, punched out 33 and amassed 17 HLD in 29.0 innings of work with the Brewers, and will be held to a high standard next season as he is begin paid much more than he is actually worth. With Prince Fielder gone and Ryan Braun potentially missing the first third of next season, Aramis Ramirez could be responsible for shouldering a good portion of the offensive load for the Brewers to start next season. While he likely won’t put up the gaudy numbers he did in Chicago over the past eight seasons, he will be expected to perform at a high level nonetheless. Even at 33 years old, he has a power bat at the plate and could outperform expectations in a still very lethal Milwaukee lineup. We would’ve ranked him higher than seventh, but since he is getting up there in age and his bat is a bit in question, this seems like the appropriate spot. 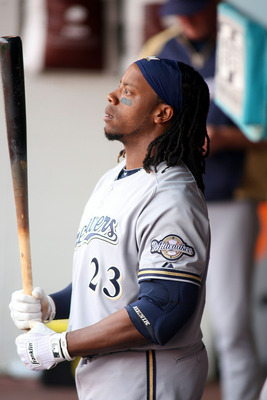 From the beginning of the 2011 season until an untimely ankle injury in late July that led to him missing a month’s worth of time, Rickie Weeks may have been the best offensive second baseman in all of baseball. Prior to the All Star break, Milwaukee’s 29-year-old second baseman posted a .278 BA with a league-high 17 home runs and 67 runs scored, 39 RBI and a .486 slugging percentage, subsequently earning a trip to the MLB All Star game for the first time in his once promising career. Of course, he wouldn’t return to his previous form after the injury, but he nonetheless maintains a considerable amount of success and momentum at the plate that can carry over to 2012. With Prince Fielder now gone, Weeks will take on a whole new role in Ron Roenicke’s lineup. Will that result in an increase in production at the plate? I think so. Corey Hart has become an essential piece to Milwaukee’s lineup over the past five seasons, but has yet to even come close to reaching his potential. Next season will be his official coming-out party. An abdominal strain halted the beginning of his 2011 campaign, yet Hart still managed to hit 26 home runs with a solid .822 OPS. The season prior, he batted .283 with 31 home runs and broke the 100 RBI barrier for the first time in his career. The guy knows how to hit the ball. If he can stay healthy throughout next season, there’s absolutely no doubt he can reach the 40 home run plateau and may find his slugging percentage at a healthy .525 to top it off. His RBI count will hinge on where he is placed in the lineup, but you can expect him to get his fair share. Outside of Ryan Braun and Prince Fielder, John Axford was clearly Milwaukee’s MVP last season. 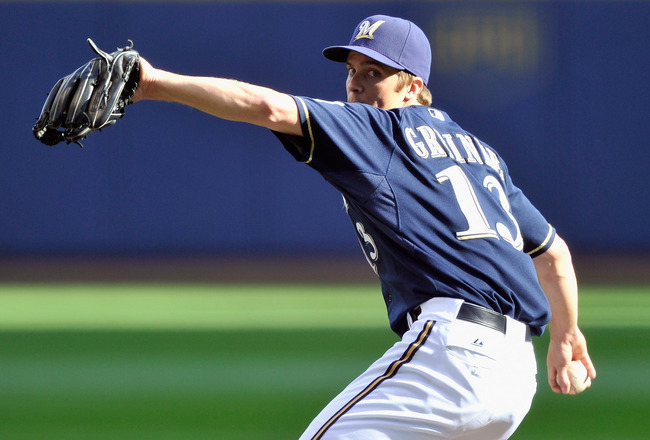 In his first full season as the Brewers’ ninth-inning man, the 28-year-old was nothing short of sensational. He posted a league-best 1.95 ERA with 86 strikeouts in 73.1 IP while tying for the league-lead for saves (46), setting the franchise’s single-season mark for saves in a regular season. With a full season’s worth of production and experience under his belt, Axford looks poised for another impressive season — potentially surpassing his numbers from a season ago. If he can do that, who’s to say he won’t challenge to be the NL Cy Young? Now looking toward his third straight season as Milwaukee’s undisputed ace, Yovani Gallardo has a lot to build off of for 2012 after a staggeringly successful 2011 campaign. Last season, Gallardo went 17-10 with a 3.52 ERA, 207 strikeouts and 8.99 K/9 IP, setting career-highs in wins, ERA and strikeouts. He also led all Brewers starters in just about every meaningful category to boot. If last season was any indication of what this season holds in store, Gallardo will not only have a spot on the All Star roster, but he should vie for a considerable amount of Cy Young votes. 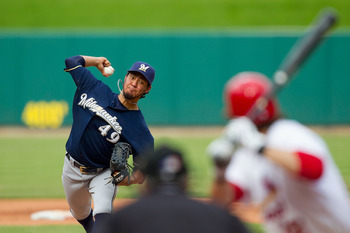 Look for Milwaukee’s 26-year-old ace to take his game to the next level in 2012. 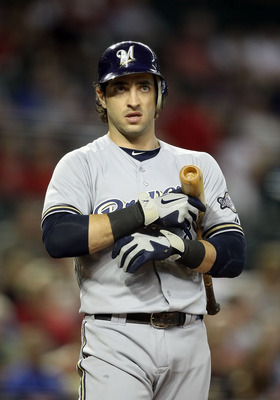 Obviously, Ryan Braun’s production next season will ride largely on whether or not his 50-game suspension holds up, but since there hasn’t been any official word as to what’s to come, we’ll just assume he’ll be in the starting lineup on opening day. Last season, Milwaukee’s beloved left fielder batted .332 wtih 33 home runs, 111 RBI and a league-leading .597 slugging percentage. Without the protection of Prince Fielder, Braun’s numbers are bound to slip ever so slightly. Nevertheless, Braun will surely be vying for consecutive NL MVPs next season. Zack Greinke knows as well as you and I know that he simply underperformed last season and wasn’t worth anything near the four top prospects Milwaukee gave up in return for his services. 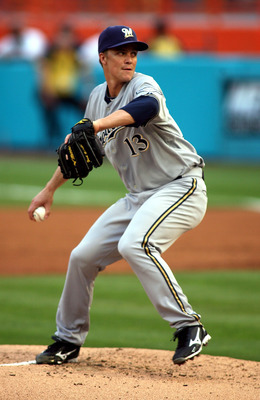 That being said, one could argue there wasn’t a better pitcher in the second-half of 2011 than Greinke. In 15 starts, he went 9-3 and posted a 2.59 ERA with 202 strikeouts in 97.1 innings. If Greinke can extend the startling success that ended his 2011 campaign, there’s no doubt he’ll be Milwaukee’s top performer in 2012. Look for Milwaukee’s preeminent addition from a year ago to return to Cy Young form next season and for Melvin to re-sign him at season’s end. Alec Dopp covers the Milwaukee Brewers as a featured columnist on Bleacher Report. Follow him on Twitter and read his blog. After three brutal days at the 2011 MLB Winter Meetings in Dallas, Texas, the Milwaukee Brewers have finally found their shortstop for the future — or at least for next season, that is. Ken Rosenthal of FOX Sports tweeted just minutes ago on how the club has reached an agreement with the veteran shortstop Alex Gonzalez on a one-year deal with a vesting option for 2013. The monetary figure is unclear, but we will continue to update you as information becomes available. 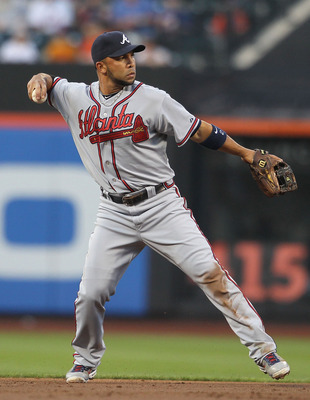 Last season, Gonzalez, 34, batted .241 with 15 home runs and 56 RBI in 149 games played with the Atlanta Braves. The veteran infielder was considered to be a potential target for Milwaukee at the beginning of the offseason, when GM Doug Melvin began to contemplate the many options that could upgrade his infield from a season ago. Alec Dopp covers the Milwaukee Brewers as a featured columnist on Bleacher Report. Follow him on Twitter, and read his blog, Brewers Rumors.